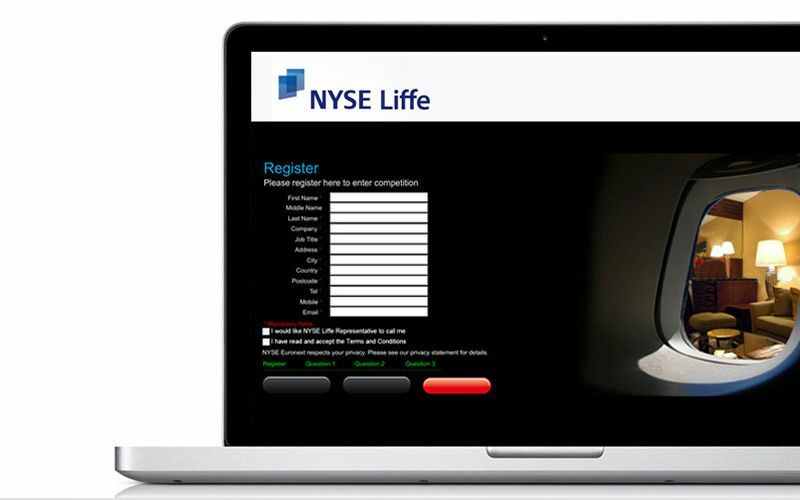 NYSE Liffe is the global derivatives business of the former NYSE Euronext, and is now part of the Intercontinental Exchange Group Inc.
NYSE required a microsite to promote the new trading time for FTSE Futures in the United Kingdom. Pink Tiger Media suggested an interactive campaign. We collaborated with NYSE Liffe's in-house design team from London to achieve the right look and feel that clearly represented the campaign and the organization. Pink Tiger had incorporated a user data capturing module in the microsite to measure the effectiveness of the campaign as well as to allow NYSE Liffe to use this data for their future marketing efforts.